Many Apple fans love Apple history, and most Apple fans love Jonathan Ive. 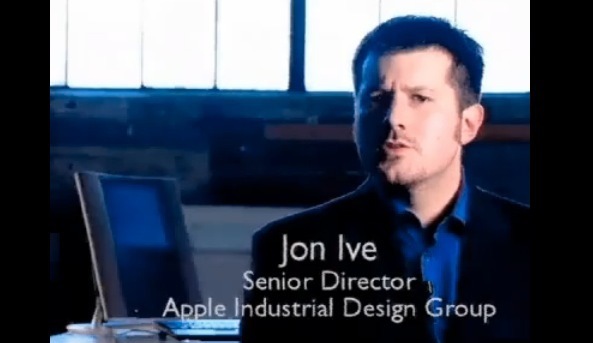 This amusing video from 1997 combines both, features Jony Ive being Jony Ive as he waxes poetic about the 20th Anniversary Mac, product, design, and experience. Despite being 15 years ago, you could replace “20th Anniversary Mac” with “iMac” or “iPad” and it would be right at home in a modern Apple video (minus the random cheesy flame video clips). For those who don’t know, the 20th Anniversary Mac was a limited edition Mac priced at a whopping $7499. It was one of the first all-in-one computers to have an LCD display, and at the time was about as cool as a computer could be. Looking back, it’s easy to see how the design and thought of the 20th Anniversary Mac influenced the design of future Macs, especially iMacs. Found on Twitter by WammySalrusIV, don’t forget to follow us over there too. I own a 20th anniversary Mac still factory sealed. It’s hard not to open it up and enjoy it, however I think it will be worth a little something in 40 years or so. I’ve never seen Jony have this much hair before. I really like to watch old videos about computers and see how we make this big device into a small box which is small then a shoes box.